Find cited references to published literature. Set up Citation Alerts for an article. Many resources now provide data to help measure the impact of a given article, journal, or institution. 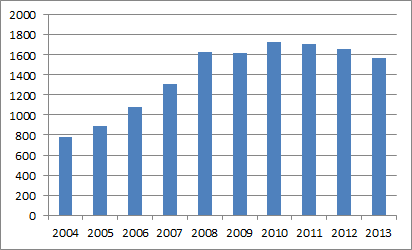 Journal Citation Reports (JCR) is the source for finding the impact factor (IF) for a journal within its field. 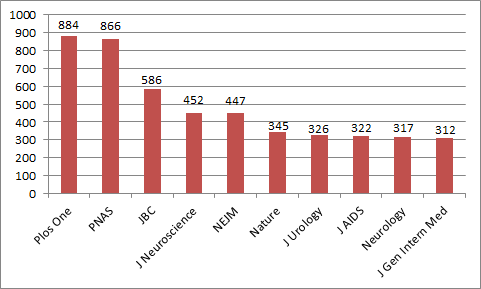 The impact factor ranks a journal based on the number of citations made to articles in the journal over the two preceding years. Article Level Metrics (ALM) is a method developed by the Public Library of Science (PLoS) to view the overall performance and reach of published articles. Ranks countries and institutions by their research productivity in different disciplines. Use this database to discover research expertise and connections at UCSF and beyond. Find collaborators, mentors, mentees, and partners. Provides infrastructure, services, and training to support clinical and translational research. As part of the nationwide CTSA consortium, CTSI develops broad coalitions and partnerships at the local and national levels to enable a transformation of the research environment.